I’ve been looking for new tops that I can wear when the weather turns cool, and I totally need this comfy long sleeved top in my life. Right now, you can get this top for just $15.99 (reg. $30). This adorable and comfy top comes in a variety of colors, and you’re bound to find one or more that you love. The long length pairs perfectly with leggings or skinny jeans. Add Converse, or your favorite full size boots or booties for an easy, chic look that you’ll wear over and over this fall and winter. 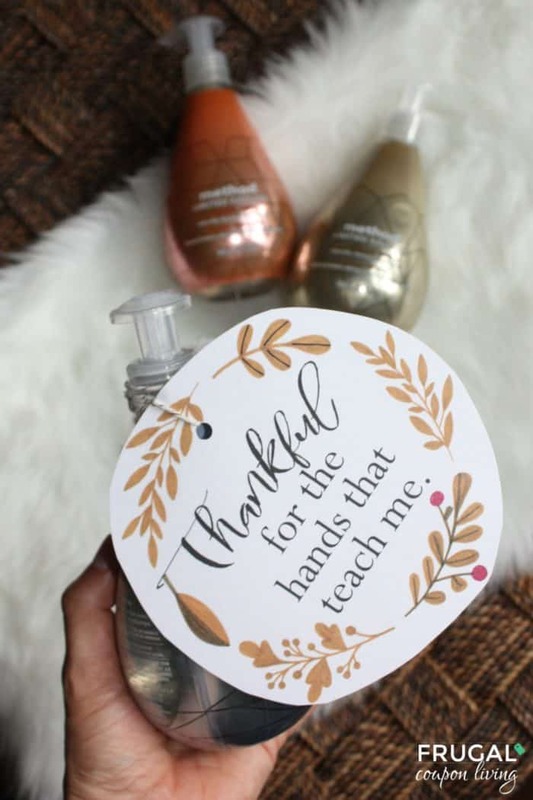 Thankful for the Hands that Teach Me free printable. 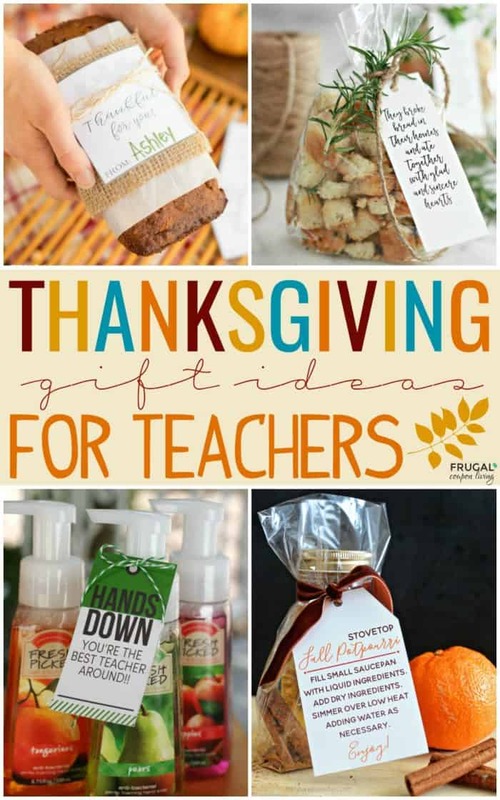 Pair this Fall Teacher Gift Tag with a bottle of soap for the Thanksgiving Season. 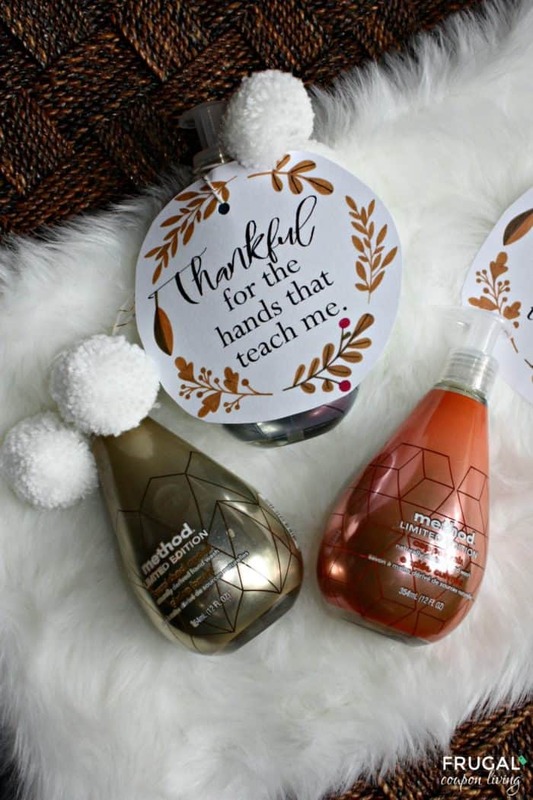 We have a sweet and thoughtful gift idea for you this fall season. As a former teacher, I am always looking for ideas and ways to show appreciation to my children’s teachers. I have five kids, so grabbing expensive gifts is not always the solution. I have sent in $5 Starbucks gift cards (with free printable), candy bars (that I picked up in the checkout lane of the grocery store), Redbox codes (also a free printable) or even a small batch of the larger batch of cookies we made the evening before. Whatever the gift, small or big, it shows that I appreciate my child’s teacher and also represents a lot to the younger eyes that are watching. This season we wanted to give you a free fall gift tag you can use for your child and their teacher. Print your gift tag and attach it to a seasonal soap dispenser. Today we used some of method’s limited edition soaps because they added the perfect color to the season. Enjoy! You can save these and print from your own computer or we give you step by step directions to save and print at Staples Copy Center. I am happy to share the printables below. When sharing with others, please lead them to my website instead of emailing them the file(s). It takes time, effort and money to put the freebies forth and I earn when you visit. Thanks for visiting and thanks for sharing with others! 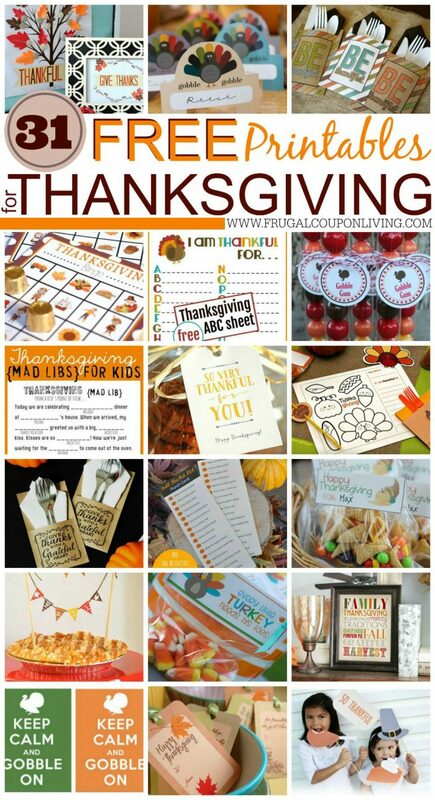 You are going to also love this Thanksgiving Gift Ideas for Teachers with Printables. Pin to Pinterest. 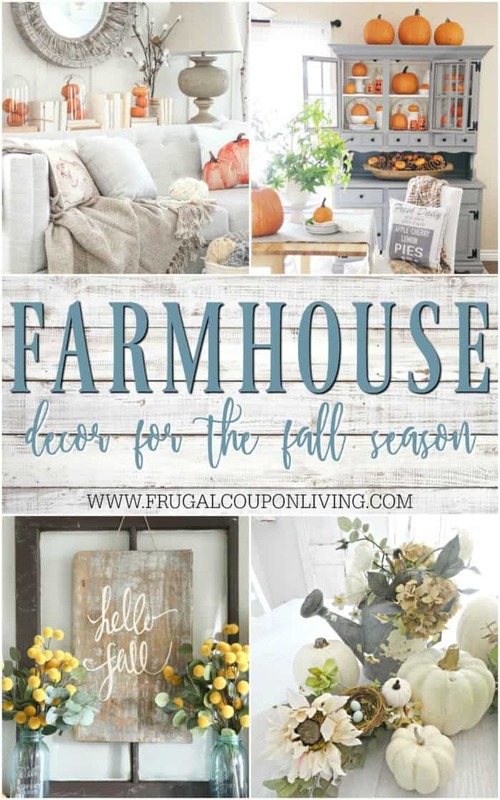 When decorating this fall, enjoy these Farmhouse Fall Decor Ideas. Pin to Pinterest. Save 50% on select Children’s Cat & Jack Leggings when you use the code SAVE50 at checkout! Shop Capri and regular leggings in a big selection of colors and styles! Soft and stretchy, Cat & Jack Leggings will keep her comfortable any time of the year, no matter what she’s up to. Perfect for school, play or just lounging around, a full elastic waistband offers a sure fit and makes them easy to get on. 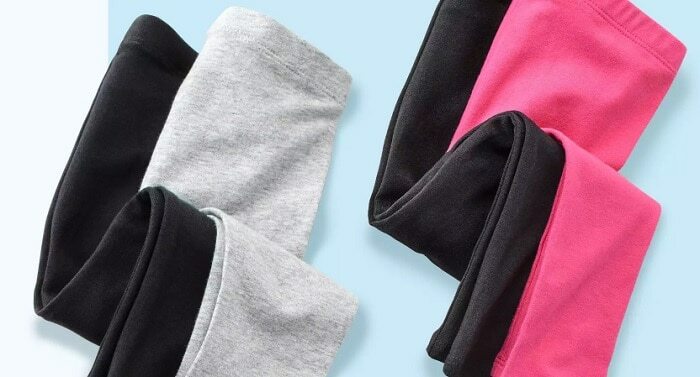 She’ll love to pair them with tees and tanks in the summer and hoodies and sweaters in the fall and winter, making them a versatile addition to her year-round wardrobe. 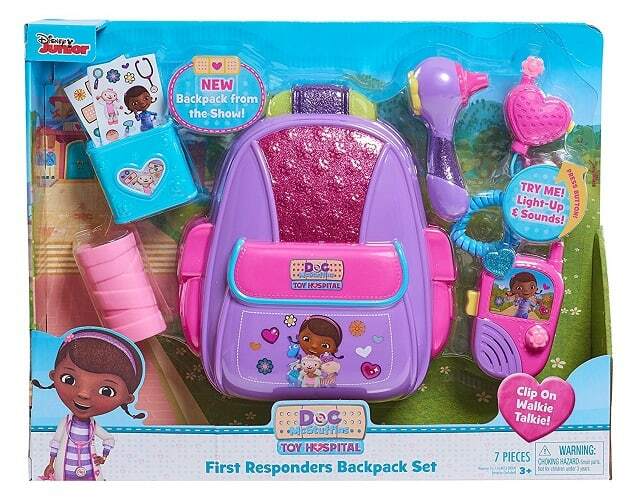 You can also save 5% off your purchase with your Target RedCard. Learn more about What is Target Redcard? Find more Target Deals on Frugal Coupon Living. Plaid shirts make the perfect fall outfits, and these trendy plaid tops are way cuter than your average lumberjack shirt. These tops are available in a variety of colors for $18.99 (reg. $39). This flattering and functional shirt features a cozy, button-down design with a wonderful stretch in the fabric. With 10 different color choices, it is versatile enough to wear with just about anything and its loose yet tailored fit will ensure you stay comfortable all day long. Pair this plaid shirt with a vest and your favorite jeans for an effortlessly cute and comfy look.